This short video will give you an overview of SimpleSoft and its products and show how SimpleSoft's solutions help make the job of creating and managing today's complex networks simpler. 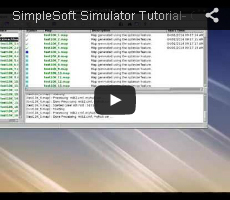 This short tutorial will give you an overview on SimpleSoft's Network Management Simulators which can be used to simulate thousands of wired and wireless devices. 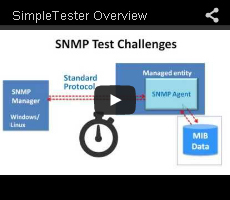 This short tutorial will show you how to use SimpleAgentPro to record SNMP data from a real device and use it for simulation. 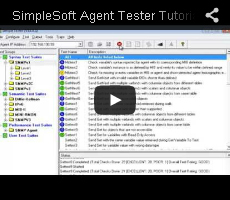 This short tutorial will show you how to use SimpleAgentPro to quickly create 10,000 device simulation in just a few minutes. 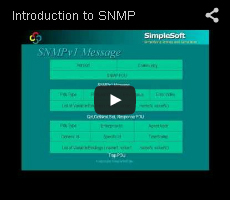 This short tutorial will quickly introduce you to the various concepts in SNMP and help you make informed decisions regarding your upcoming SNMP project.